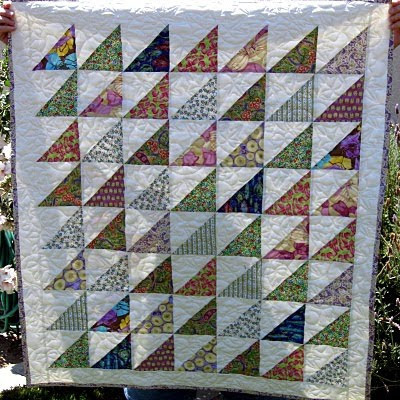 Janice Elaine Sews: Not a pinwheel quilt! 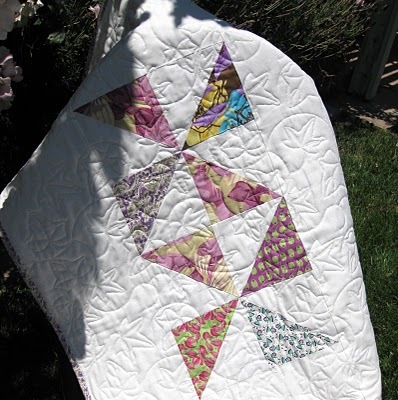 I was going to make a pinwheel quilt, but discovered I really didn't want to, so I took all those half square triangles and made this and one other quilt. There are some pinwheels on the back, using the few hst's I had left. 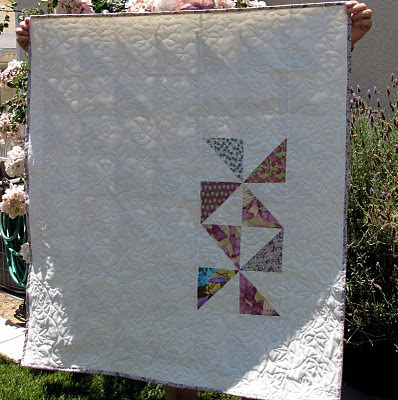 This quilt measures about 39 X 43, not quite square. You have a great eye for design, color, and prints. Love this one.